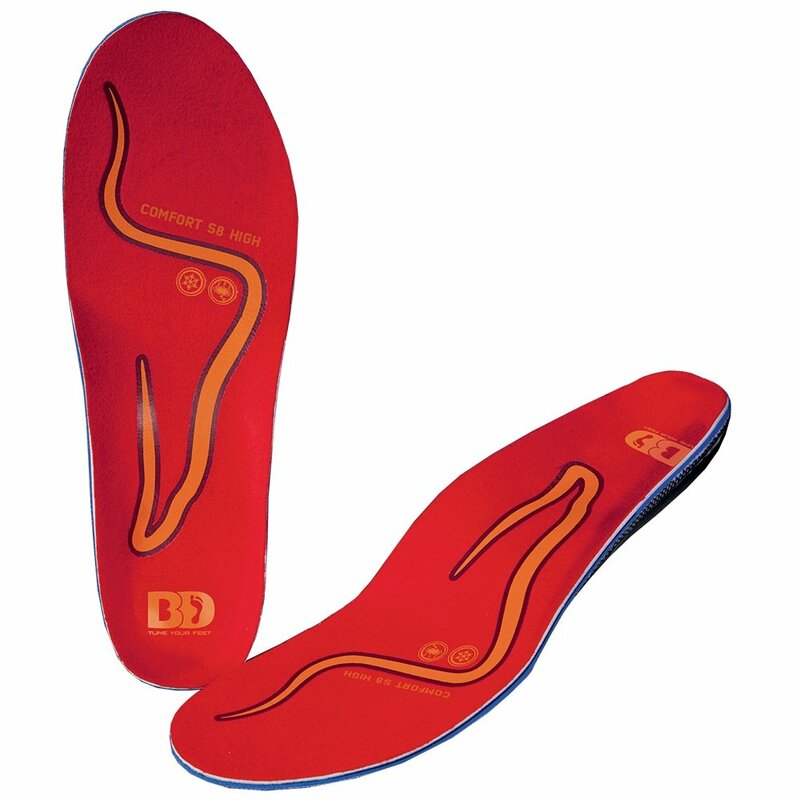 High arches can be a challenge, but not for the BootDoc Comfort S8 High Footbed Insoles. Designed to help fill in the space under your feet, they won't collapse as you tighten your boots like lesser insoles will. This not only helps to take pressure off your toes, but it also helps to give you better control over your ski or snowboard edges. Add in the impact and vibration reduction provided by the anatomic dampening in the heel and forefoot, as well as the improved heel hold provided by the heelcup, and there's no reason not to upgrade your favorite boots.